Two down, one to go! The shift to Medicaid managed care in Pennsylvania with Community HealthChoices is changing how agencies operate. Providers in the Northwest, Northeast and Lehigh/Capital zones are invited to join PHA for this comprehensive session to prepare for the final phase of CHC implementation on Jan. 1, 2020. 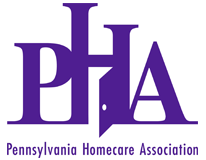 This session is targeted exclusively for homecare and home health agencies, and includes an in-depth review of how home-based agencies can survive and thrive in the new world of managed care for long-term services and supports. Topics to be covered include contracting tips, new benefits and opportunities for reimbursement under CHC, processes and policies, and quality indicators. Attendees will also hear first-hand from other homecare agencies that have already been through CHC implementation in the Southwest and Southeast.